EXHAUST in special sheet steel (1.5 mm thickness) manufactured through the press working process. 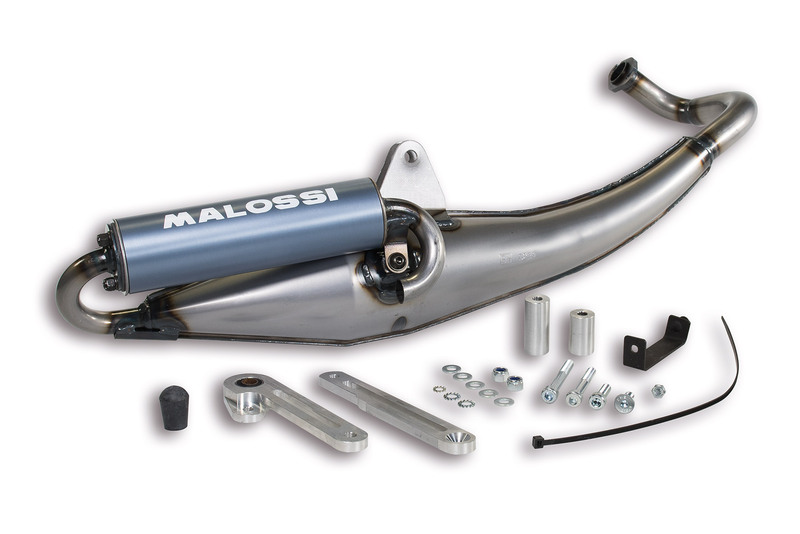 The exhaust features silencing baffles, aluminum alloy mounting brackets with vibration isolators. Clear-coat finish.